The concept of ‘aspirations’ is not easily defined as each person has their own definition and understanding of the term. However, general consensus points towards improving one’s current state of living and improving the way one lives his or her life as the general definition. With the rapidly emerging black middle-class, consumer aspirations have become a huge driving force in the retail industry. Director and co-founder of the UCT Unilever Institute of Strategic Marketing, Professor John Simpson agrees. Professor Simpson was invited by the South African Council of Shopping Centres (SACSC) to share his research and expertise at a networking breakfast which took place at the Balalaika Hotel in Sandton on May 2, 2017-an event sponsored by Prime Media Unlimited Malls. John Simpson has been responsible for heading ground-breaking research projects on South African consumer trends. Under his directorship, the Institute has developed into one of the country’s foremost marketing research think-tanks. John teaches in the University of Cape Town’s Commerce Faculty, where he headed the University’s School of Management Studies for a number of years. According to Professor Simpson there are eight aspirations his research has revealed among consumers. These aspirations are: stability, belonging, freedom, comfort, respect, experiences, health and giving back. “Consumers aim to improve their circumstances, they aspire to it. This is the reason why a particular consumer will be targeted by a marketer. Our research into consumer aspirations is done in a variety of ways. We have done a very strong quantitative study and incorporated that study with in-house focal groups and interviews which gives us a greater understanding on who the consumer is and what they aspire to,” he said. Professor Simpson added that it is important for retailers to take consumer aspirations into consideration when developing marketing campaigns. “Consumer aspirations in South Africa is very important because it allows you to target your brand to a particular customer giving him the opportunity to buy an item which he or she feels better for as a result. You would market a product which tells him or her that they actually will be better of as a result of buying a particular item. In one way or another, whether it is in terms of his personal circumstances, whether in terms of the society where they are a member or whether it has something to do with his family-these are the things he aspires to improve upon,” Professor Simpson said. He also added that South African retailers need to make their stores more attractive to the consumer with aspirations. “There are two main things that retailers can do to appeal to this market. One would be to make their stores more appealing in such a way that a consumer feels recognised as to who they are. The second aspect is to provide products and services that consumers would aspire to. There is a big difference between just satisfying a need and perhaps getting something a consumer aspires to have, which is normally above one’s need at this point in time. Professor Simpson said that in general, marketers do not understand consumer aspirations fully. “It is assumed that ‘one size fits all’-whether you are marketing to a well-off person or a poor person, the same marketing exercise is used because it is assumed that both people have the same aspirations. The fact of the matter is that there are a lot of aspirations which are common-whether you’re rich or poor but the way that they are played out is very different. This is what marketers need to understand,” he concluded. 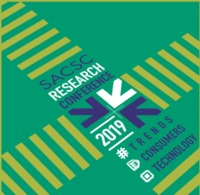 Chief Executive Officer for the SACSC Amanda Stops said Professor Simpson’s insights into effective marketing to the ‘aspirations’ market is invaluable information in the rapidly evolving retail and shopping centre industry. “At the SACSC we aim to provide cutting edge information and research for our members. Professor Simpson’s presentation was no exception. We hope those who attended walked away with useful information and will use this to improve their product and service offering to their customers,” she added.